Over the last four decades, we have been envisioning the end to the use of silicon as a semiconductor in devices. Perhaps the end is near. Just what will replace silicon? The answer to that is a carbon nanotube. nanometer scale. This scale has one billion units of a meter. Approximately, the human hair is nine ten-thousandth times thicker than one unit in the nanometer scale. Carbon nanotubes are so thin that thousands of them can fit when arranged side-by-side in the human air. 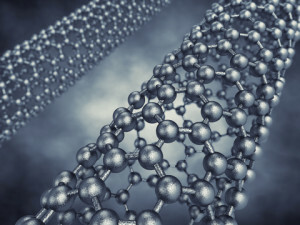 Carbon nanotubes are made of graphite layers that appear like a rolled-up chicken wire. The structure closely resembles the continuous unbroken hexagonal wire, with the carbon molecules pegged at the apexes of hexagonal patterns. 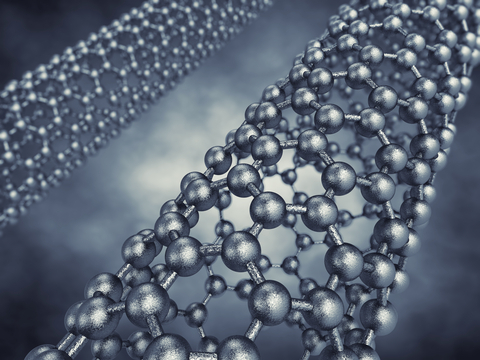 While all carbon nanotubes are made from a similar graphite sheet, the fact that they have different characteristics makes them differ in terms of electrical conductivity. This results in some acting as metals while others act as semiconductors. Some of the differing characteristics include their structures, length, thickness, and number of layers. Carbon nanotubes have intrinsic mechanical and transport properties making them ideal for ultimate carbon fibers. Carbon nanotubes exhibit a unique mix of stiffness, tenacity and strength when compared with other materials often used to make fiber. These other fiber materials usually lack at least one of these properties. The carbon nanotubes are also unmatched when it comes to thermal and electrical conductivity. One Response to "Carbon nanotubes"